The Vietnam War was one of the most controversial conflicts in recent history. In a time when men had no choice but to fight a war overseas for reasons that many of their friends and family didn’t even understand, few were able to separate the soldier from the war. Now, with some distance, we can look back at some of the mysteries that we’ll probably never be able to solve. Colonel Charles Shelton was an Air Force pilot and the last person to be officially considered a prisoner of war taken during the Vietnam conflict. It was only on September 20, 1994 that his status was changed from “missing in action” to “killed in action,” and that happened only after a request from his children. In 1965, Shelton was flying a recon mission over Laos when his plane was shot down. At first, he kept in radio contact with the Air Force. But then radio contact stopped, and it was the last time Shelton was officially heard from. There were, however, plenty of unofficial stories about just what happened to him. Some stories say that he was taken prisoner but survived his ordeal. Some go so far as to suggest he killed his torturer, securing his life in the face of a foe impressed by his bravery. The family heard other stories—that he was actually alive and well in California but forbidden to make contact with them as he was under government protection. In the 1980s, those who were still listed as prisoners of war were reclassified as either “body not recovered” or “killed in action”—except for Shelton. The colonel was to become a symbol for all the others whose fates were unknown, but it would take its toll on his family. Over 25 years after his disappearance, despondent and exhausted by decades of not knowing the truth, Shelton’s wife committed suicide. Later, his children requested that his status be officially changed to “killed in action” and that his name be added to the gravestone in Arlington Cemetery, where their mother was buried. In 1966, American soldiers in Vietnam were given a weapon that was supposed to revolutionize fighting: the M16. Unfortunately, it absolutely didn’t go as planned. When the weapon made it into the hands of those who were in the middle of combat, it failed spectacularly. Recently declassified army documents show that 80 percent of troops reported having issues with the weapon. Prone to a problem called “failure to extract,” spent shell casings would stay in the chamber after a shot was fired, forcing solders—who were often in the middle of close combat in completely inhospitable terrain—to physically unjam the gun by using a metal rod to pry out the spent shell casing. By 1967, Congressional subcommittees were exploring the issue further, wading through testing, memos, and red tape while the war continued. Meanwhile, troops in the field were finding other problems with the rifle. When they received the new guns, the troops weren’t given cleaning equipment to maintain them. While manufacturers and the military insisted that the rifles didn’t need to be cleaned, men in the field were finding that the inside of the barrel not only wasn’t chrome-lined like previous models, but it was vulnerable to corrosion in the brutal Vietnam climate. Ultimately, the subcommittee investigation found that the army was at fault for failing to train troops on the new weapon and not performing proper testing of the weapon and ammunition before passing them along—bringing up some serious questions of responsibility within the system. It’s not known just how many soldiers died because of the faulty weapons; there are numerous reports of dead soldiers found with jammed M16 rifles that had left them all but defenseless while they tried in vain to get their weapons functioning. Bizarrely, it’s a problem that’s not yet solved. The M16 is still being used, and it’s still being investigated for its lack of reliability, decades after the original controversy. Soldiers and their loved ones are left to wonder just why rifles that were historically as deadly to the men using them as they were to the enemy are still the military’s go-to weapon. 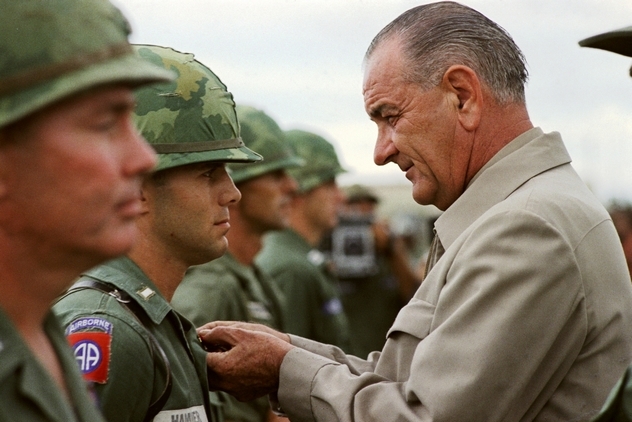 Between 1965–1968, the United States and North Vietnam were involved in a series of communications facilitated by Polish diplomats that, had they been successful, might have ended the war during Lyndon B. Johnson’s presidency and saved countless lives. In his memoirs, Johnson refers to the failed diplomatic effort, but just what happened is still up for debate. Not much is known for certain about the talks, including who started them and why they ended. It’s not clear whether they were initiated by the Americans, the North Vietnamese, or the Polish diplomats. There’s even a suggestion that Italy was the first to plant the groundwork for the ultimately failed peace talks. Most of the available information about Operation Marigold is still pretty shady, coming largely from newspaper reports based on information gained from unofficial leaks. Previously classified documents are slowly coming to light, like the papers written by Jerzy Michalowski, one of the Polish operatives involved in setting up the peace talks. They document discussions between Poland and the Soviet Union, in which Moscow supported the peace talks; they also tell of visits to Beijing, where China would have no part in the idea of talks. But much of the once-classified file contradicts what’s been long said about Marigold—including the idea that it was started by the Italians—and in the end, it brings up more questions than it answers. Operation Marigold seems to have been incredibly close to ending the Vietnam conflict. Meetings were scheduled between diplomats in Warsaw, terms and conditions were outlined, parties had agreed to meet. But from there, things get a bit muddled: Chronologies get confused, and whole sections are missing from various accounts that document just what happened. It seems like each side had been waiting to contact the other, Polish attempts at getting the Americans and the North Vietnamese into direct contact failed, and during it all, US troops continued their raids on Hanoi and the North. Ultimately, the talks failed, and the war continued. We may never know how close we were to peace. 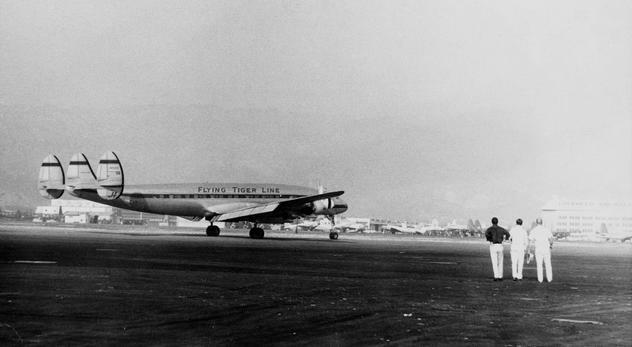 On March 16, 1962, Flight 739 disappeared somewhere between Guam and the Philippines. There were 107 people on board, and they were all declared dead about two months after the plane’s mysterious disappearance. No trace of the wreckage was ever found, and just what happened to the plane isn’t known. It’s more complicated than that, though. Family members of the men who were on board say that they were soldiers deployed during the Vietnam War. There’s no official record of the flight having anything to do with the war, and no official government department admits that the men on board had anything to do with any military mission. But family members say otherwise, pointing to a list of handpicked mission members that were assembled from military bases across the country. Government files indicate that some of the men were communications advisers, supply sergeants, and nothing more. The few files family members were given have been heavily redacted, suggesting that there was something more to the mission—something that’s remained classified for decades. According to a report by the Civil Aeronautics Board, the plane was headed for Saigon and was not carrying any cargo, only the passengers—93 Americans, three members of South Vietnam’s military, and 11 crew. There were no distress calls, no radio communications, and no sign that there was anything wrong until the plane simply stopped responding. Later, a Liberian tanker reported seeing an explosion along the plane’s flight path, but no trace was ever found, and nothing was recovered. Family members have been pushing to get the names of their loved ones listed on the Vietnam Memorial wall in Washington, but the government has been stubbornly silent about just what role the men had played. The families believe the men to have been involved in “black ops” and still remember several of them saying that they had a bad feeling they wouldn’t be returning home. The Vietnam War might have looked considerably different if it hadn’t been for the unknown sniper that killed military leader Trinh Minh The in 1955. Throughout World War II, The served as a noncommissioned police officer in the Japanese military, where his anti-communist and anti-colonialist attitudes were firmly cemented. Part of the Association for the Restoration of Vietnam, The became a member of the French Army after World War II. In 1951, The—along with several thousand supporters—defected from the French Army with the intention of creating the Union of Nationalist Forces of Vietnam. This third party would have been striking out against both the communist parties and those with their sights on colonialism. The was killed by a sniper on a Saigon street in 1955, but no one knows just who fired the shot or who ordered it. 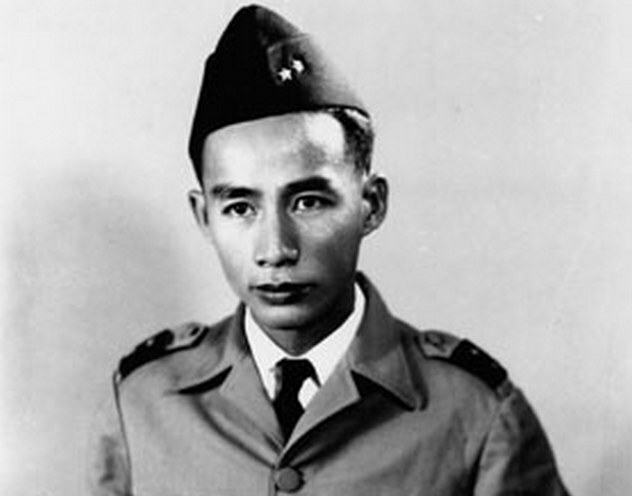 At the time, it was suspected that The was in the process of giving in to pressure from his financial backers and looking to join the South Vietnamese army in Saigon. By the end of the war, there were 17 American civilians officially listed as “missing” due to wartime actions. Among them were three American volunteers who had been working at a Vietnamese leper hospital. On May 30, 1962, the Vietcong descended on the Ban Me Thuot Leprosarium in South Vietnam. There were nine staff members, including Dr. Eleanor Ardel Vietti (a surgeon), Reverend Archie Mitchell (a missionary and administrative officer), and Daniel Gerber (a hospital volunteer). Mitchell’s wife and four children were also there, but they went unharmed along with the Vietnamese nurses. After looting the hospital and taking any medical supplies that they could use, the Vietcong took the three volunteers and disappeared. Throughout the war, there were occasional reports on the whereabouts of the three civilian prisoners, but no further contact was ever made with them, and no one was ever able to confirm their fates. Strangely, the wartime tragedy was not the first for Archie Mitchell. Almost exactly 17 years before he was kidnapped in Vietnam in front of his wife and children, Mitchell was in the middle of another tragic event that led to the only American deaths in the US mainland during World War II. For a brief period, Japan was launching bomb-laden balloons across the Pacific to the mainland United States. Only a handful of the balloons made it, but this was enough for the US to keep a special unit of paratroopers on hand to deal with the threat. These “Triple Nickles” carried out 36 missions throughout World War II. It was one of the unexploded balloon bombs that killed Mitchell’s first wife and their children. Mitchell and his family were out on a church picnic when his wife came across the unexploded bomb; not knowing what it was, she asked him to come look at it. The bomb exploded, killing Elsie Mitchell and five children. By the time a memorial was dedicated to America’s only mainland casualties, Archie Mitchell was already in Asia. 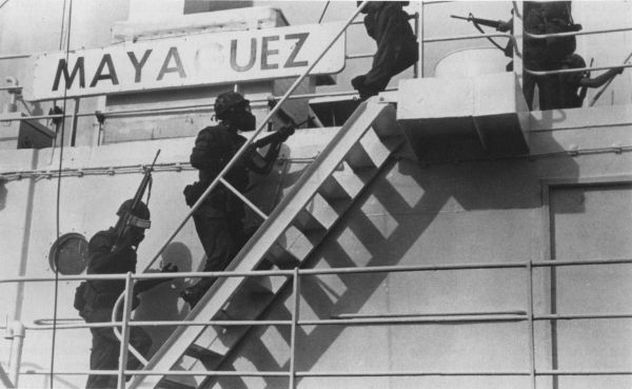 The “Mayaguez Incident” is credited as being the last official battle of the Vietnam War. It began with the boarding of the American merchant ship—the SS Mayaguez—by the Khmer Rouge forces and ended with an American Air Force and Marine mission to rescue the crew of the ship. The conflict, which took place on and near the island of Koh Tang in the Gulf of Thailand, turned bloody, and it’s still not known what happened to a few of the Marines that died there. In total, 15 people were killed during the incident, and figuring out just what happened—and where the soldiers were—has proven extremely difficult. Beginning in 1991, search parties from Cambodia and the United States have been excavating the island in an attempt to find the remains of the still missing soldiers. Three Marines are still missing. Pfc. Gary Hall was 18 when he was left behind in the confused withdrawal of US forces; rumors that reached his family have suggested that he’s not on the island at all but was returned to the mainland before being executed. The same rumors were circulating about Lance Cpl. Joseph Hargrove and Pvt. Danny Marshall. The source of the rumors was Em Son, the commander of the Khmer Rouge forces during the battle, and his story has changed a few times. The men have alternately been said to have been captured and executed on the mainland or to have survived the battle only to be caught well after the fact. Stories from the commander and other survivors have the men being killed by friendly fire, beaten to death by the Khmer Rouge, or being held in a prison. The subject is an incredibly touchy one. More than 20 investigations have failed to clear things up. The time to find out what really happened may be limited, as there are currently plans to build an upscale resort and hotel on the beach. In 1968, Marine Cpl. Robert Daniel Corriveau disappeared from the Philadelphia Naval Hospital psychiatric ward and was labeled a deserter. He had recently returned from Vietnam and was suffering from what’s now known as post-traumatic stress disorder; when he vanished from a locked hospital ward, he was reported as AWOL. It wasn’t until his sister began championing his cause and insisting that he wasn’t a deserter that part of the truth was uncovered. In 2012, using DNA from Corriveau’s sister, his body was identified. Only three hours after he was found to be missing from the hospital, a state trooper discovered a body on the turnpike. For more than 40 years, that body remained a John Doe. Now, Corriveau is no longer a deserter but a murder victim. He had been stabbed in the heart, but nothing else is known about exactly what happened. His body was discovered about 50 kilometers (30 mi) from the hospital. Tragically, given that his family hadn’t even been notified of his disappearance until a week after he was gone, there was little they could do. Corriveau’s military status has been changed, and he’s been posthumously awarded the medals he deserved for his service in Vietnam. 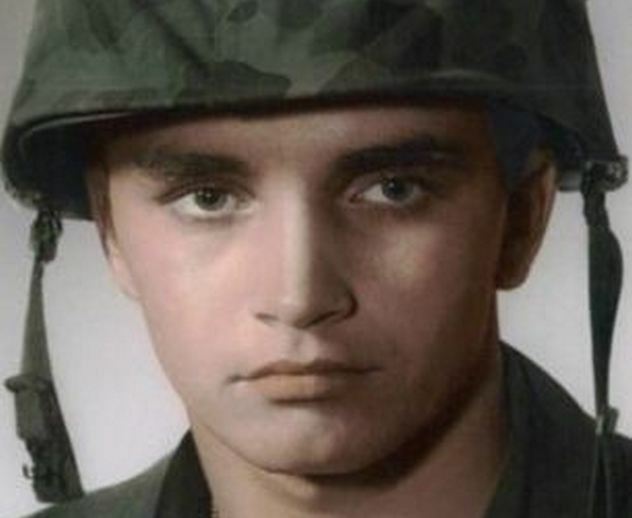 While his family now knows that he’s not a deserter, they’re still hopeful that someone might come forward to help them solve the 45-year-old murder case. 2How Effective Was Operation Wandering Soul? Operation Wandering Soul was designed to exploit Vietnamese beliefs about the deceased. The dead that didn’t receive a proper burial were thought to be walking the Earth forever, trapped and tormented, and—once in a while, when things were right—reaching out to the living. In an attempt to strike fear into the hearts of the enemy, American military personnel, with the help of South Vietnamese volunteers, recorded some incredibly eerie voices that were then played throughout the jungles. The tape—which became known as “Ghost Tape No. 10”—was widely used, but no one really knows what effect it had, if any. Reports are varied and sketchy. Some claim the tape had absolutely no effect on the enemy that very easily saw through the ruse. Others suggest it was successful in at least leeching away some of the troops’ morale. Finally, some reports state that the tape terrified the Vietcong so thoroughly that they abandoned their posts and surrendered. Even if you know what it is, the tape is undeniably creepy, filled with voices claiming to be from Hell, trapped there after dying senseless deaths, looking for their children, and wanting desperately to go home. In a way, Operation Wandering Soul didn’t quite end after the war. The name was reused for a program started by Australia and New Zealand. After Vietnamese families aided in finding and returning the remains of Australian soldiers, the Australian military and the National Vietnam Veterans Museum decided to return the gesture of goodwill. They asked for the surrender of any trophies that had been taken from Vietnam, with the goal of getting possessions back into the hands of the families of the men who died. Sometimes, the past can come back to haunt you. In 2000 and again in 2004, questions circulated around George W. Bush’s military service. Originally, those questions were pretty mild, especially considering the opposing political party had their own explaining to do about the murky Vietnam activities (or lack thereof) of Bill Clinton. But later, more and more questions popped up. Records seem sketchy at best and missing in their entirety at worst; those that are there occasionally contradict themselves. Even though payroll records indicate that it was business as usual for young Bush reporting for duty at Ellington Air Force Base in 1973, medical records dated on the same date—May 2—indicate that he wasn’t there. Other records show that his attendance at the Air Force base in Texas was little more than off and on. Transfers were applied for, denied, and seemingly undertaken anyway. For a year, Bush’s whereabouts seem to not be entirely accounted for. The accusation was that he had used his family connections to arrange for a pretty easy ride through an extremely bloody war. 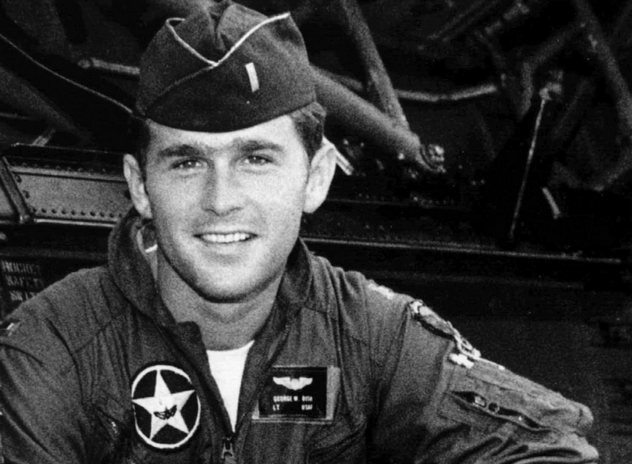 Earlier, in 1968, Bush’s military scores indicate that he barely qualified for much of anything, passing his pilot’s exam with the lowest grade required—a far cry from the exemplary, dedicated pilot that superior officers later referred to him as. His celebrity status, on the other hand, was well documented—right down to the commanding officer that arranged to have his picture taken with the young Bush. The question hasn’t been thoroughly answered: Did America’s self-proclaimed wartime president pull some strings for preferential treatment to get out of the worst fighting of the Vietnam War and into pilot training? Forms that Bush checked—but later claimed he didn’t remember filling out—seem to indicate that he specified that he didn’t want to be sent overseas. Later, he would say that he was denied overseas deployment, but just what went on behind the scenes still isn’t quite clear. It certainly wasn’t clear at the time, either. In 2004, scandal reared its ugly head again when Dan Rather of 60 Minutes got some documents that seemed to indicate that Bush had refused a direct order to submit to a National Guard physical and had been ultimately suspended from duties for falling below Guard standards. Ultimately, it wasn’t clear where the documents had come from. The news show, originally standing by their unnamed source as absolutely honest and reliable, ended up retracting the story and apologizing.